Lawmakers have decided to raise the environmental tax on a number of commodities from January 1, 2019. This is part of the National Assembly’s Resolution 579/2018/UBTVQH14 on environmental protection. The adjustments will focus on petroleum products, coal and plastic bags, among others. 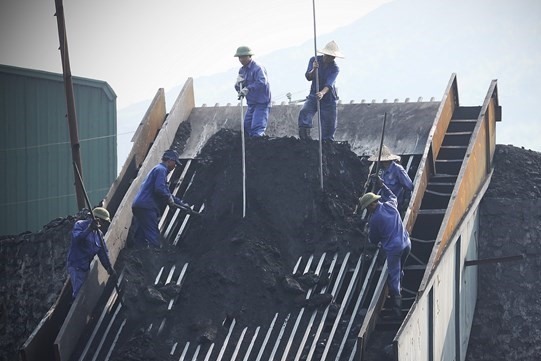 The tax on anthracite coal, which is often referred to as hard coal and has the highest energy density of all types of coal, will increase from VNĐ20,000 (US$0.85) per tonne to VNĐ30,000. As for other types of coal, the tax will rise from VNĐ10,000 to VNĐ15,000 per tonne. HCFCs, ozone-depleting substances and powerful greenhouse gases, will be levied at VNĐ5,000 per kilo, up VNĐ1,000 from the current level, while plastic bags will be taxed at VNĐ50,000 per kilo, up from the current VNĐ40,000. Lawmakers have also increased environmental protection taxes on gasoline by VNĐ1,000 to VNĐ4,000 per litre, while kerosene will be subject to a tax of VNĐ1,000 per litre, VNĐ700 higher than the current level. In comparison with the Government’s proposal in May, the tax on kerosene has been reduced by half. In addition, taxes on lubricants and mazut will be raised to VNĐ2,000 per litre from the current VNĐ900. A report by the National Assembly Committee for Financial and Budgetary Affairs showed that if environmental protection tariffs were adjusted, the State could collect about VNĐ15.2 trillion to deal with environmental problems. In the current context of increasing global energy prices, the imposition of environmental protection tariffs is expected to reduce inflation rate. According to the Vietnam Institute for Economic and Policy Research, the inflation rate in 2019 would exceed the target of 4 per cent set by the Government and the National Assembly in recent years.